Recent studies suggest that curcumin, the micronutrient in turmeric that gives Indian curry its bright color, may reduce depression and improve memory. A 2018 study published in the American Journal of Geriatric Psychiatry by Gary Small, director of geriatric psychiatry at UCLA’s Longevity Center, and colleagues found that a curcumin supplement improved mild, age-related memory loss in people without dementia. Forty adults between the ages of 50 and 90 received either placebo or 90 mg of Theracumin, a bioavailable form of curcumin, twice daily for 18 months. The participants took cognitive tests at the beginning of the study and every 6 months during the study. Thirty of the participants also received positron emission tomography (PET) scans upon beginning and ending the study to evaluate the appearance of plaques and tangles in their brains. Participants who received curcumin saw improvements in verbal and visual memory and attention over the course of the study compared to those who received placebo. The curcumin participants also saw mild improvements in mood, and less accumulation of amyloid plaques and tau tangles in the amygdala and hypothalamus, brain areas that play a role in memory and emotion. A few participants had mild gastrointestinal effects after taking Theracumin. In India, where diets are high in curcumin, there is a lower incidence of Alzheimer’s than in the west, and older people also have better cognitive performance than in the west. 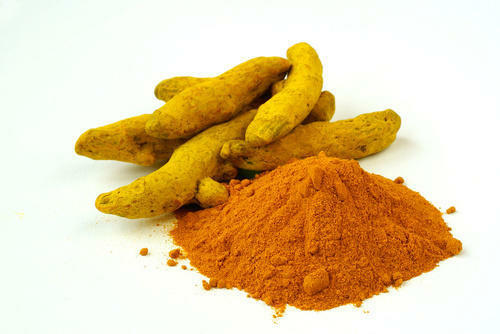 Curcumin has anti-inflammatory, antioxidant, and neuroprotective properties. Researchers speculate that curcumin may reduce brain inflammation, which has been implicated in both depression and Alzheimer’s disease. A 2017 meta-analysis by Qin Xiang Ng and colleagues of 6 studies of curcumin including a total of 377 patients found that the substance has significant antidepressant effects compared to placebo. Half of the studies also reported improvements in anxiety. No adverse events were reported. Ng’s meta-analysis was published in the Journal of the American Medical Directors Association.